Concrete is an amazingly versatile material. We depend on its strength and durability for sidewalks, driveways, floors, patios, and pool surrounds. 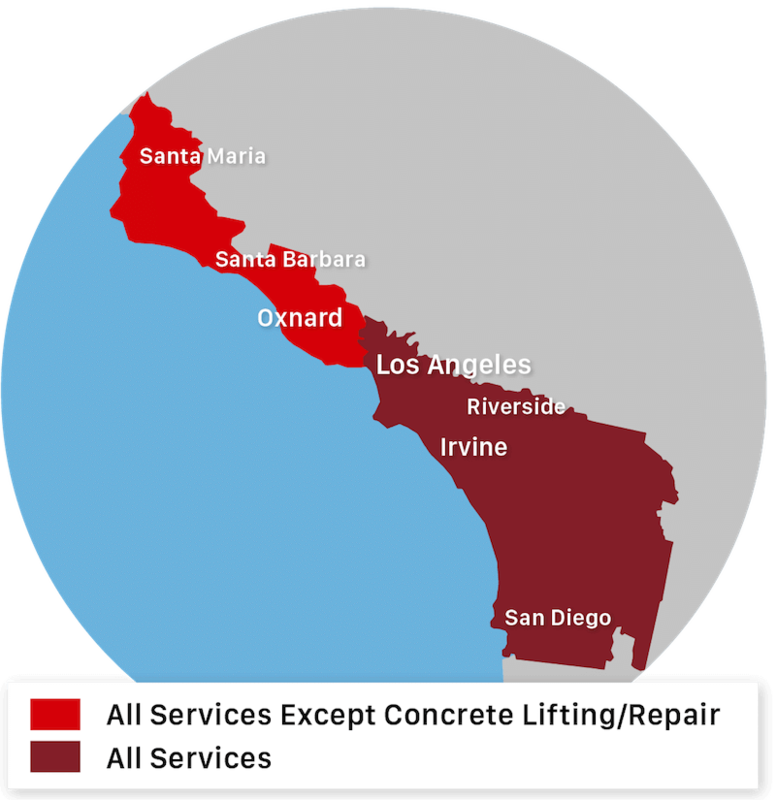 Saber Foundation Repair is one of Southern CA' most experienced concrete companies. We specialize in a number of concrete solutions, including concrete grinding and concrete lifting. We serve many areas of California, including Los Angeles, Long Beach, San Diego, Santa Maria, Santa Barbara, San Luis Obispo, and nearby. Contact us today to schedule an appointment with one of our concrete experts! When something goes wrong with concrete, the damage is usually easy to spot. Concrete that hasn't been sealed or finished can easily become stained by spilled material or simply by an accumulation of dirt and grime. Hard impact and heavy weight can cause concrete to crack and break. Sometimes, signs of age and wear appear in the form of crumbling and surface deterioration. Restore your surface. We can repair and restore all types of cracked and damaged concrete. When you've determined that there are issues with your concrete, whether structural or cosmetic, it's important to employ the right solution. For concrete cracks, Saber Foundation Repair uses NexusPro, a sturdy, flexible, and UV resistant polyurethane sealant that will look its best for years to come. After the gap is caulked with NexusPro, we can detail and finish the concrete, making it look as good as new. 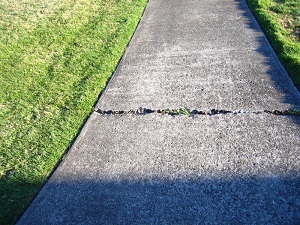 Some concrete repairs relate to appearance (stained or discolored concrete), while others correct safety hazards like uneven walkways or large cracks. In all cases, it helps to have the skill and knowledge of an experienced concrete contractor. When you contact Saber Foundation Repair about a concrete repair, you can be confident in our expertise. Our technicians have the training, tools, and experience to assess repair requirements and get the job done right. In many cases, our repair strategy will correct site conditions that caused the damage, helping ensure that the problem won't recur in the future. If you have damaged concrete, don't wait for the problem to get worse. Contact the concrete experts at Saber Foundation Repair to learn how damaged concrete can be made better than new. We offer a wide range of concrete repair solutions. Give us a call at 1-877-203-4601 or contact us online for an estimate!